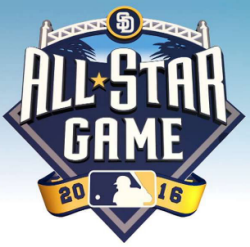 Last Tuesday Night, Major League Baseball announced the rosters for tomorrow's All-Star game in San Diego. Immediately, as I'm sure was anticipated, people began talking about who made it and who didn't. Who got left out, and who shouldn't have made it. As a fun little exercise, I decided to take a visual look at the all-star teams, to see what kind of players were selected. 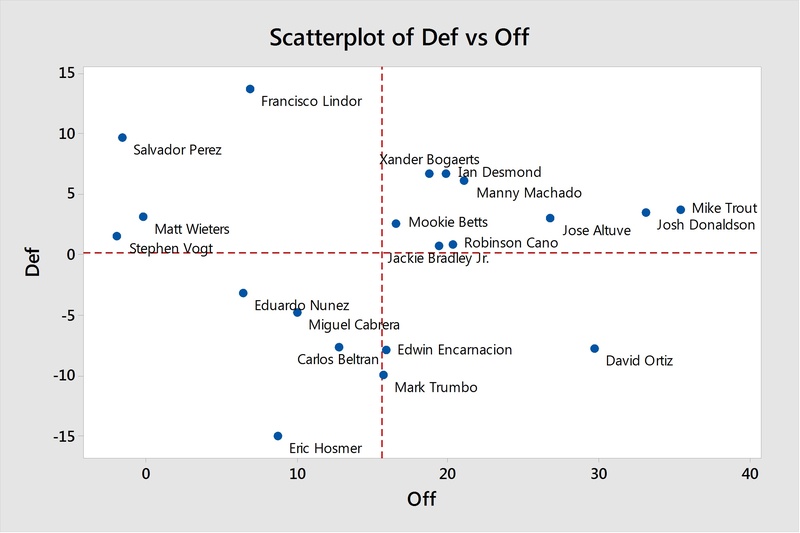 I looked at position players only (no pitchers) and made a simple scatterplot, with the x-axis representing their offensive value so far this season, and the y-axis representing their defensive value. This would allow me to see any extreme outliers in terms of value generated so far this year. In Minitab Statistical Software, this command can be found by going to Graph > Scatterplot. I also added data labels through the Editor menu (Editor > Add > Data Labels) so that I could see which point on the plot corresponds to which player. Looking at the graph, some groupings become apparent. The most populated quadrant is the upper right, which represents a high offensive and defensive value. For an all-star team, this makes sense: these are the best of the best. Here is where you'll find names like Mike Trout, Josh Donaldson, and Jose Altuve, the American League leaders in Wins Above Replacement, which is a metric that tries to capture all of a player's value into one nice statistic. Another grouping that becomes apparent is the upper left quadrant. This is where we see our defensive maestros. To fall in the upper left quadrant, you need to have a high defensive value and a (relatively) low offensive output. We have a shortstop and three catchers here, which makes sense given that those are the two most demanding defensive positions. 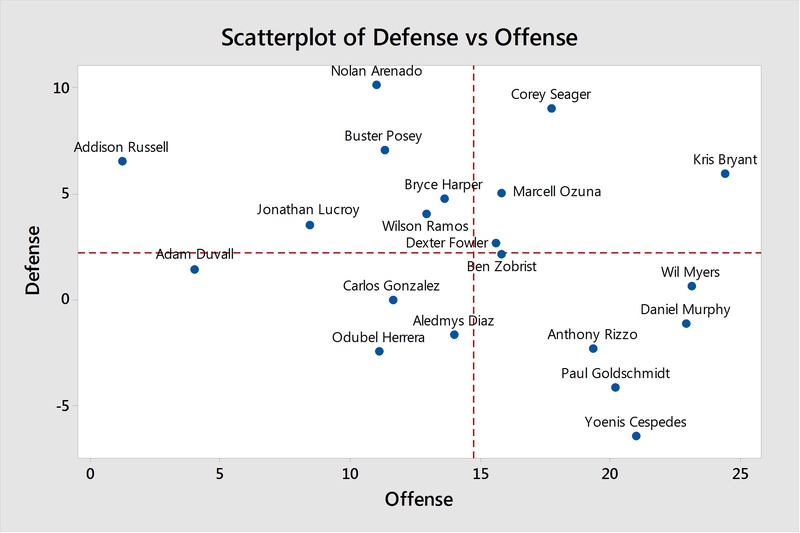 The lower right corner represents players whose value is mostly on offense. Here we, see Edwin Encarnacion, David Ortiz, and Mark Trumbo. Their defensive value is so low because they don't even play defense—they are designated hitters. This is a fun way to visualize what kind of all-stars we have, and what they excel at. If the manager needs to make a late-game defensive substitution, this graph can show us where they might lean. Additionally, if they need one pinch hitter for a key at-bat, we can see whom they might lean on by looking at the other end of the graph.